This affordable copy machine combo features a low price tag of fewer than two hundred dollars, while maintaining a steady list of professional level specifications. With its convenient flip top design, this unit easy and efficient to operate. 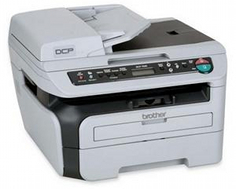 For a bargain desktop unit, the Brother DCP-7040 has more than acceptable print speeds of up to 23 pages per minute. 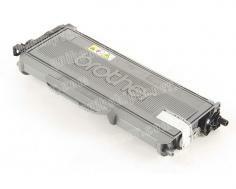 Brother printers often produce high quality laser output, and the Brother DCP-7040 is no exception. With print quality selectable up to 2400 x 600 dots per inch, the unit produces better than average imagery. The unit's reduction and enlargement functions allow N in 1 copying that is useful for squeezing multiple input pages onto a single page of output. Zoom ratios range from 25 to 400%. The device has a hefty automatic document feeder with a 35 page storage capacity which is ideal when making more than one copy in a single print transaction, and can save drastic amounts of valuable time when compared with single page feeding. With the ability to scan in both black and white and color, the Brother DCP-7040 is great for capturing extremely detailed images. Its optical scan resolution runs at 600 x 2400 dots per inch and its maximum interpolated scan is 19200 x 19200 which is high enough for lab quality photography, whether in color or monochrome, while the MFC's color scan bit depth of 48 is also quite high. Though standard included memory totals only 12 MBs, this should prove to be plenty, considering the scope of the unit's features. Memory expansion options are also available and accessible internally. 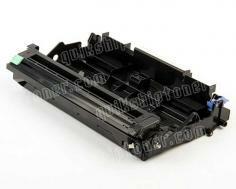 Paper handling is limited for the Brother DCP-7040, as its tray has the capacity for only 250 sheets of standard paper. Special media types are restricted to the device's single sheet bypass slot, leaving no room for automatic loading of envelopes or card stock. Pages can be scanned directly into an e mail or into a PDF format, but other scan options are limited. The device's fold out rear paper tray is essential for providing a straight through paper path that allows extra thick media full compatibility with the unit, though only by way of the single page feed slot. Interestingly, a fax modem is not included with this MFC, making it a 3 in 1 device. With a very low maximum monthly duty cycle of only 10,000 pages, the Brother DCP-7040 is not intended for heavy volume printing of any kind. Its recommended monthly duty is even lower at only 250 to 2,000 pages, severely limiting its usefulness in a shared printer environment. Review it: "Brother DCP-7040 "
Unfortunately, the toner cartridges used in the Brother DCP-7040 are extremely limited and offer only a 2,600 page yield per unit. The drum unit is no less disappointing with a total yield of only 12,000 pages. Though laser printers are known for their heavy volume print capacity, the Brother DCP-7040 falls short in this category, and frequent toner changes will more than likely plague buyers.